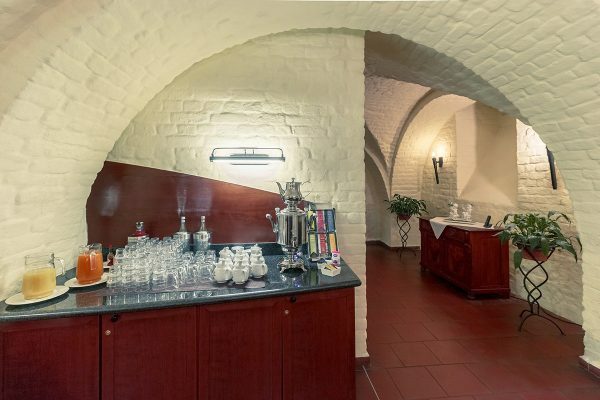 The Restaurant Wallenstein’s is located in the historic vaulted cellar of Hotel Schloss Neustadt-Glewe. The chef and our professional and welcoming team serve a selection of regional dishes and German-Mecklenburgian cuisine. 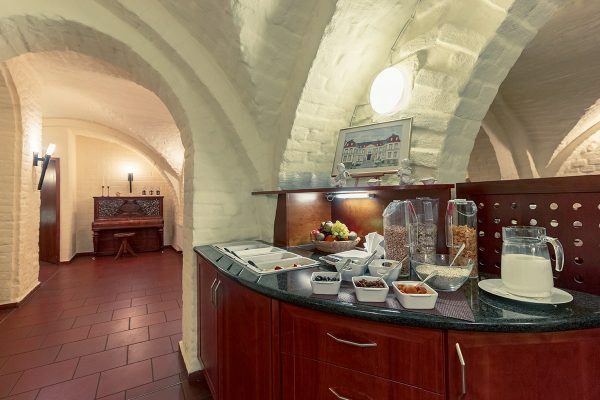 The list also offers a selection of wines that complement the menu perfectly. Separate dining niches emphasize the special atmosphere of the vaulted cellar and offers about 55 seats. A small outdoor terrace overlooking the Elder side arm is designed for 24 people and ideal for a dinner outside or a drink in the sun, especially in summer. 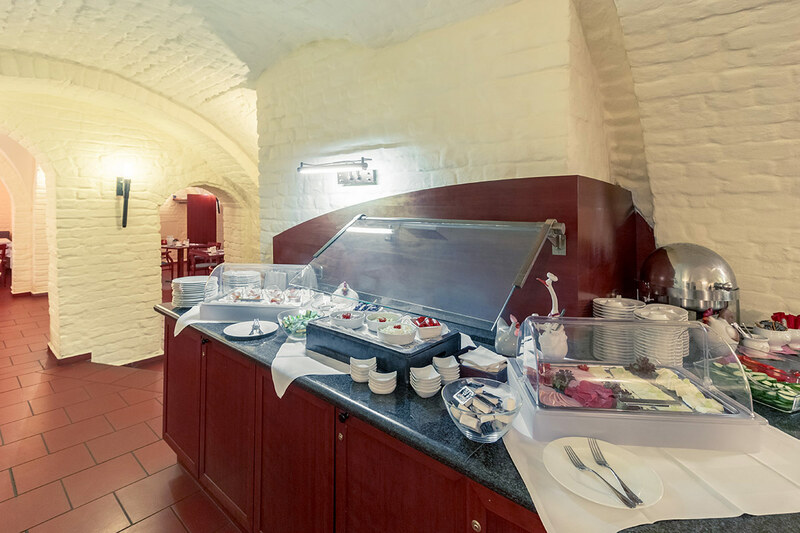 Breakfast is served in the restaurant as well and provides you with everything you need for your perfect start to the day: From a large selection of fresh pastries, to a variety of cheese and cold cuts, fruits, vegetables, eggs and different coffee specialties. Breakfast is served from Monday to Friday between 6.30 am and 10.30 am and from 7 am to 11 am on weekends and holidays. The restaurant is open daily between 6 pm and 9 pm. Please contact us in advance to get informed about special opening hours on holidays.